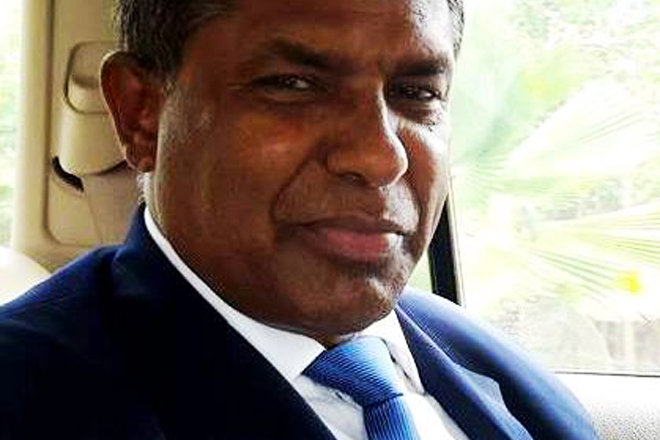 S. A. P. Suriyapperuma who has held several senior positions in the public and the private sector in the past was appointed as the chairman of the Development Lotteries Board by the Hon. Minister of Finance and Media Mangala Samaraweera on the recommendation of the President Maithripala Sirisena. Suriyapperuma who had his primary education at the Kandapola Mahinda College later on entered The Poramadulla Central College and the Minuwangoda Central College for his secondary education. He holds an Honors degree in Business Administration (Special) from the Sri Jayawardenapura University. Thereafter he was appointed as the Chairman of the Lanka Cement Company under the Ministry of Industries. He served as a Director of the Samurdhi Authority, and as an advisor to the Smurdhi Ministry. He was also appointed as a Director of the Coconut Development Authority and is a member of the Ayurveda Medical Council. Suriyapperuma was also an economic and a financial analyst who has appeared on numerous TV programs and radio talk shows. He contributed articles relating to economics and finance for several national newspapers and was the creator and the script writer of the Weekly Economic Discussion program aired over the National Television Channel for a considerable period of time.